If you’re looking for a warehouse to partner with, there’s no doubt that you’re considering many factors in your decision. Some considerations are obvious, while others are less intuitive, but no less important. One of the less obvious, but still significant, factors is rail siding. 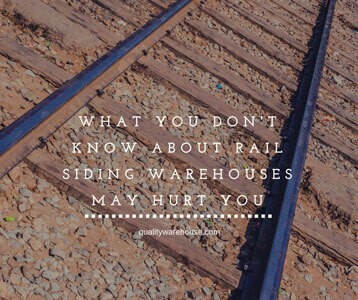 If you’re not considering it as a factor in your decision, read closely—because what you don’t know about rail siding warehouses may hurt you. Rail siding is less expensive than shipping by trucks, which means working with a rail siding warehouse could save you money. Train transportation can hold a larger volume than trucks and goes faster on less fuel, both of which drive costs down when compared to shipping via trucks. Rail is about 3.5 times more fuel efficient when compared to trucks, which means it can help you save on fuel costs and fuel emissions. That’s right, rail is better for the environment, too! In addition, trains aren’t subject to the delays, such as weather and traffic, that trucks are. All of this makes rail siding an incredibly efficient process, despite being one of the oldest modes of shipping in the United States. So, when your business has a big shipment or is in a time crunch to send a product out, rail siding is a great service to have available. Even if you don’t need it right now, rail siding is always a good option to have open. Depending on what you ship—and what you could potentially ship in the future—you may need a warehouse with rail siding capabilities. Shipments that have weight and size restrictions, meaning that they’re too heavy and/or big for transportation by truck, can only be shipped by rail. 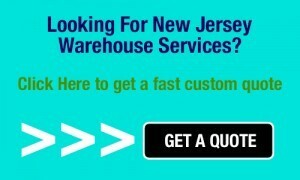 So, whether or not you absolutely need a rail siding warehouse now, it’s always a good factor to consider when deciding on a logistics provider for your shipping needs. And if you have a variety of products, choosing a warehouse that gives you many transportation options—including rail—may well be your best choice. Rail siding services have a lot of benefits that shouldn’t be overlooked. In addition to the services any logistics provider offers, though, make sure to also ask about the quality of the service. Make sure you have a good warehouse that will package and ship your cargo carefully. If you’re considering rail siding as a viable option for moving your goods, make sure they’ll be treated well, packed safely, and arrive undamaged. Quality Warehouse offers multiple modes of shipping and transportation, including rail siding. Click here for more information about our rail siding service.